Explore the local life in Mae Tha, my hometown in Lamphun. Let’s take a local train to Khun Tan tunnel, the longest of Thailand's railway tunnels. Let’s visit white railway bridge before we take the train pass this bridge. Start train trip to Khun Tan tunnel at Mea tha train station in my hometown. Arrive at Khun Tan train station. Then visit the longest railway tunnel of Thailand and have lunch. Get back to Mae Tha train station. Let’s see and experience the local life around my hometown. Time to say goodbye and send you back at meeting point. 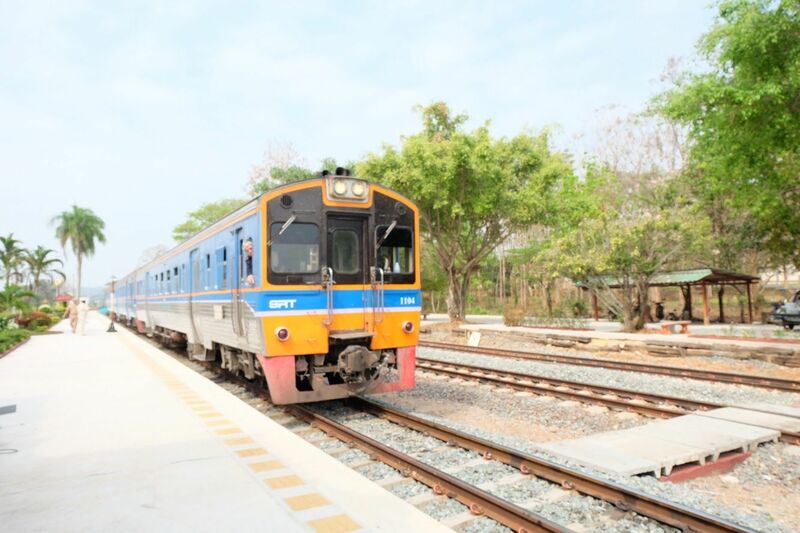 Get experience riding Thailand local train and see local view along the railway to Khun Tan tunnel then back to sightseeing local life around my hometown. Yesterday, we had an awesome tour in Lamphun, Thailand. We enjoyed our Northern Thai lunch with our local expert Kim. She is so nice and very accommodating. We assisted her in going to the market to buy ingredients, and in preparing the food at their humble home. We then ate at their house with a stunning view of the rice fields and the mountains. It’s a local experience you should not miss when visiting Lamphun. Highly recommended!